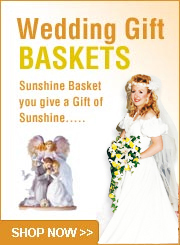 Sunshine Baskets and Gifts, Inc. Established in 2002. Family owned corporation serving Las Vegas and shipping nationwide. Las Vegas local number 702-656-7783. We do return pgoe calls, so please, if you want to place a customized order and you get our messaging center, leave us a message, You will be called back. Place orders 5 days a week from 8: a.m. to 6:00 p.m. by phone or 24/7 online. Our store is online so you can shop any time of day or night. All of our designs are prepared fresh as ordered. We are personal shoppers so if you want something that is not currently in our baskets, we will shop for it. Delivery: Monday- Friday 9:00 a.m. to 3:00 p.m. Saturday 9:00 a.m. to 12:00 noon. We always telephone the recipient before delivery to assure someone will be there to sign for delivery. If no one answers the phone, we will leave a message for them to return our call so delivery arrangements can be made. We cannot assure a “timed” delivery for a specific hour of the day as there are many variables that affect delivery. One of which is the recipient answering our call and calling back. 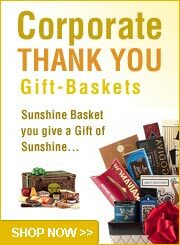 We strive to meet requests of our clients and we certainly appreciate you choosing Sunshine Baskets & Gifts. We deliver to all hotels and casinos in Las Vegas 7 days a week, and homes (up to 19 miles) in Las Vegas and North Las Vegas 5 days a week. 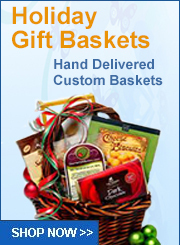 Gift Basket orders for Las Vegas residences or Henderson or over 20 miles from our location will be shipped Fed-Ex home delivery. It is usually two business days to deliver when shipped locally. Saturday and Sunday delivery is also available. Please call a few days ahead to schedule. Have Questions? Please contact us today by completing the brief form below.